Most of our life actions depend on belief, trust and faith in other people, things and actions. We trust our near and dear ones with our secrets. We have faith in God, in whom we believe will take care of everything. We have faith in our parents that they will give all the love in the world. It so happens that sometimes our trust is broken, faith is lost, and we stop believing. One thing remains the same when we really want something bad- a ray of hope. A hope that things will turn for good. Life will be back to its best and this is one thing my dear friends which I want none of you to lose. No matter what happens in your life, we should not lose hope. I was playing a cricket match in my 10th standard. The opposition team was in a winning position and would have won that match on any other given day. We had a drinks break in the middle and our coach told us to never lose hope, and made us believe that we could still win this match by bringing the opposition under false pressure. We went out back there re-energized and won the match in the last over. The win remained etched in all of our memories because everyone believed in winning that match. Before we believed we could win the match, somebody showed us a ray of hope that we could win. We could have lost it easily. Just because a person gave us hope that we could win, we fought hard to win and that’s when we started to believe and the match turned in our favour. There is always a ray of hope which will help us to get whatever we want, provided we believe intensely in it. 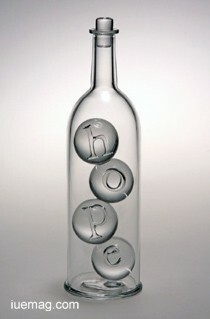 I urge everyone to never lose hope in life because, hope can make miracles happen. Any facts, figures or references stated here are made by the author & don't reflect the endorsement of iU at all times unless otherwise drafted by official staff at iU. This article was first published here on 27th November 2014. Souhardh is a contributing writer at Inspiration Unlimited eMagazine.